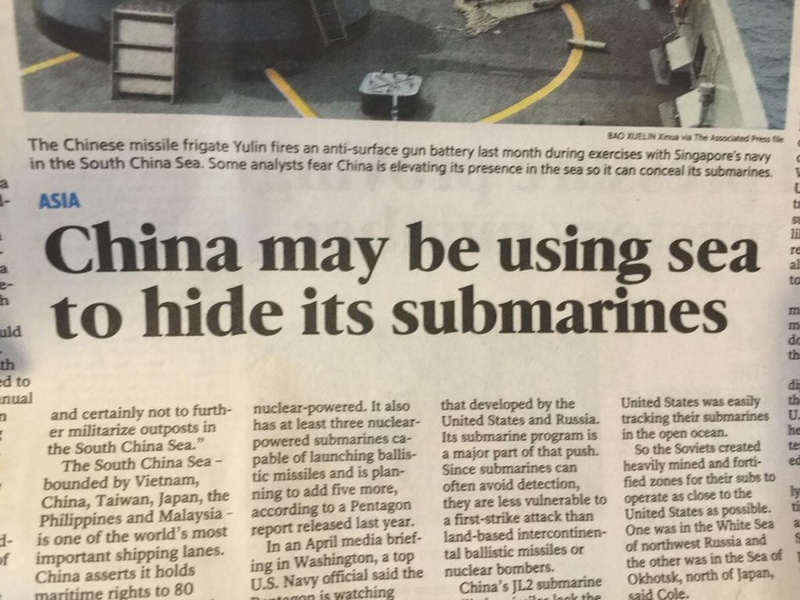 That the Chinese military comes up with this devious idea demonstrates that we urgently need to marshal new resources to counter this imminent threat. “The South China Sea would be a good place to hide Chinese submarines,” said Carl Thayer, a U.S.-born security specialist who has taught at the University of New South Wales and other Australian institutions. The sea floor is thousands of meters deep in places, with underwater canyons where a submarine could easily avoid detection. Putting submarines below the sea surface to avoid detection is indeed a brilliant idea. How come we did not think of this? But don’t fear. A few hundred billion dollars more for the Navy will be a great first step to counter this Chinese threat. One or the other presidential candidate will soon make such bolstering of the Navy a core tenet of his or her program.